How does a person go from being totally worried that they won’t be able to make it through what happens tomorrow (if any of the things they fear were to happen tomorrow did) to a place where they feel like they can face anything? I may have figured out the answer while looking at my kids’ Math worksheets. Hi, my name is Caroline and I’m a homeschooling Mom. You probably knew that already. Right now, I have a “Third Grader” and a “Kindergartener,” but if you are also inside the special world of homeschooling, you probably know that those are flexible terms. My Kindergartener (almost always) totally loves Math. He gets excited about Math time, wants to breeze through two or three lessons in one sitting, and is overall just enjoying the subject at this point. We’re just a few lessons away from finishing his curriculum for the school year, so I’m stretching it out a bit by tossing in a few extra “fun” practice worksheets in between. 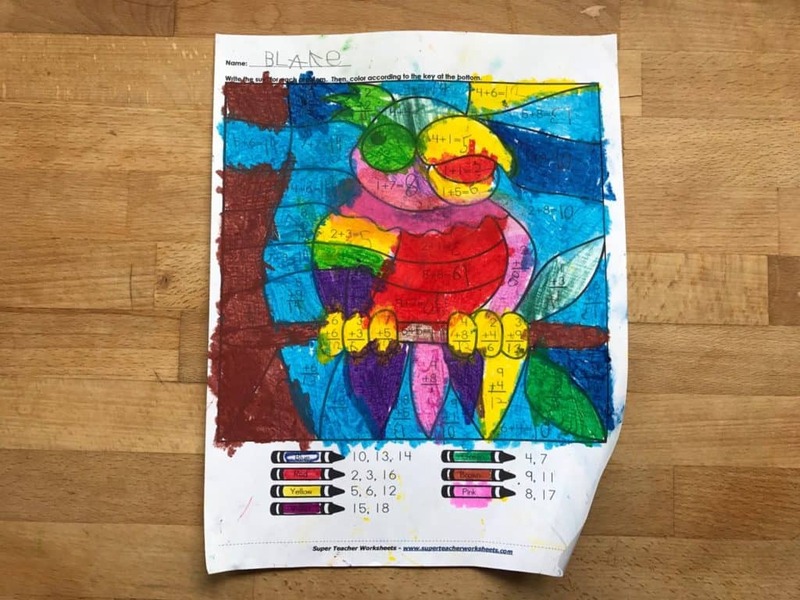 Usually these take the form of “Color by Number Addition.” Total fodder for developing the next Isaac Newton, right? In case you decide to study that worksheet and discover some errors, be warned: the goal here isn’t perfection, it’s practice! Okay. So you know the players: kindergartener and third grader. Now this, is the game. Kindergartener totally wants to do third grader’s work. But? He’s not ready for third grader’s work. 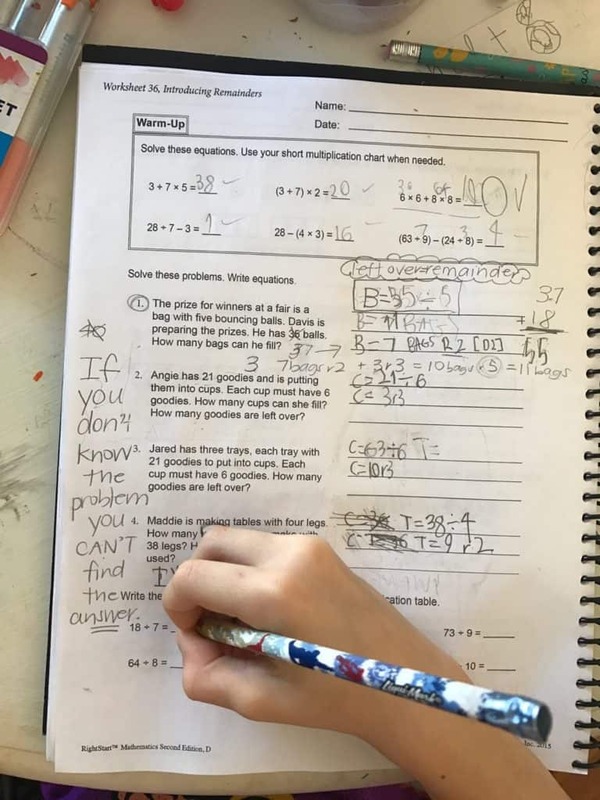 If you still need practice at addition, you’re probably not ready for division. Third grader doesn’t want to do third grader’s work. Because? It’s stretching him and that makes him uncomfortable. Now, sometimes, just so you know, even with the kindergartener, we arrive at a place where we don’t want to do what we need to do. Feel free to examine Exhibit C, below. Kindergartener wasn’t really interested in working on this Math Lizard today. Math Iguana? Math reptile. He kind of just didn’t feel like it. But I was confident he had the skills (and he was allowed to use the abacus) and I wanted him to press through the I don’t feel like it’s and put some effort into it. I didn’t give the kindergartener a third grade worksheet, but I did give him a challenge that I believed he could handle. When he tried to avoid said Math sheet in favor of playing legos, we sat down and had a little pep talk, where I told him I believed he was able to do it, if he tried, and I encouraged him with some strategies for getting it done. I gave him the short term (pre-snack time) goal of getting all the questions on the lizard done, and with strategy and motivation, he achieved that goal before the banana was sliced and peeled. Are you getting impatient for me to tie this together? Great, me too. In my finite wisdom, I still recognize the importance of the process. In the Classical Conversations neck of the woods, we often talk about “Trusting the Process.” Another tangent for another day but grab this key thought: a lot of things, including our own hearts and souls, are in process. And in God’s infinite wisdom, I imagine He has a handle on what that process is supposed to look like. What an idea! God will give you what you need, so you can do what He wants. Maybe in some areas of your life you’re dying to jump into Advanced Calculus, but there’s a reason God’s holding you steady on Algebra right now. Maybe in some areas of your life you feel like God has you doing Advanced Calculus and you wish you could go back to Algebra. Like, yesterday, please God, and thank you very much. But if I, with my simple little finite mind am able to recognize in my own children how to foster the process of their growth, in our conversations, in our reading choices, and yes, in our Math studies, how much more can I trust our All-Knowing, All-Loving, great God who is our Father, to foster a process of growth in my life to help me become who He created me to be? Can you see the possibilities truly believing that opens up in your soul? You could trust that whatever happened — from that time you ran into a neighbor’s mailbox while dropping off a kid at a friend’s house (oh, wait, that was me!) to that time your boss called you into his office to tell you he just didn’t think you were doing a decent job (also me) — was part of God’s process. And all that hard change we talked about yesterday: losing loved ones, moving towns, finishing school or watching kids leave the nest, you could trust that God’s hand was right there, you could trust that He could work all of it together for your good. How much would that change our perspectives on change? Believing God is there, able to do great things with all the hard, the scary, the change? Could change everything. 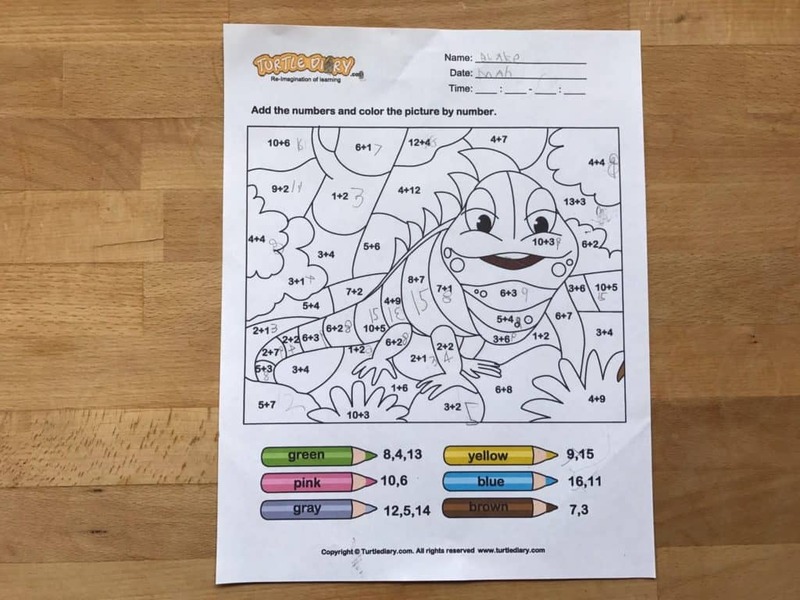 The kindergartener made some great progress on that Math Reptile today. Tomorrow, I’ll gently hand it to him again, and if he’s willing to trust me enough to listen and give it his best, I think tomorrow it might be filled out, colored in, and we’ll continue with the process.